Naples food culture isn’t the only Naples culture you’ll find, it also has millennia of history that you can see through all the Naples Monuments that are scattered across the city and its surroundings. Naples culture is something that is renown around the world, but sometimes the Naples museums are not promoted as much. If you’re into traveling and have already been to this magnificent city for travels you’re probably well versatile thanks to pages like Naples the Culture trip run down, but you’re with us now and we can bring you on a whole new Naples culture trip. The culture of Naples Italy goes back to the Greek era of Magna Grecia with the founding of Cuma, spanning all the way to today’s groove culture Naples bringing out some of the best jazz-funk music in Italy. For some, the Naples Italy culture shock is pretty strong, but you just have to ease into it and you’ll be jonesing for more and more Naples history and culture. From a variety of Tours in Naples to all the Naples cultural events to the Naples Italy history and culture, you’ll probably never want to leave, even after your studies. A special shout-out goes to the Naples culture hotel Centro Storico because it’s a central location to all of these places. The hotel culture Naples is really close to the Maschio Angioino one of the most important sites to see, plus at the culture hotel Naples you get to see the beauty of them in two seconds, so don’t forget about the culture hotel Naples Italy. Unfortunately, the last wave of bad weather in Italy destroy many trees in this beautiful open space but go there to breathe in some fresh air. Why not get enjoy some of the best relics found around Naples, with pieces coming from Pompei, Herculaneum, Cuma, and Pozzuoli. Born as a Roman Villa when Parthenope was first founded, it passed a variety of changes in uses (villa, monastery, fortress) until it became what it is today. Built by the Angio’ dynasty after conquering Naples from the Svevi, the Maschio Angioino is one of the most important landmarks in Naples. An ex-church in the center of Naples, you’ll be able to see the most astonishing baroque architecture in all of Italy. Piazza del Plebiscito is one of the most important squares in Naples, it’s oval structure can remind you of Saint Peter’s, but the unique feel you’ll get has nothing to do with the Holy Seal. If you’ve been thinking about studying in Italy you definitely are familiar with the Gallerias of Milan and Turin, but you’ll be surprised by the beauty of the Gallerie in Naples. One of the most beautiful churches in the center of Naples, you can find it right after the famous Presepe streets in which you can buy the best-made nativity scene statuettes. Naples isn’t only about the sea and what you can see at sea level, there is a whole area underground that has been created for various reasons, mostly safety during wartime, that you can discover. Naples biggest and most important Theatre the Teatro di San Carlo holds some of the best classical music and Operas in all of Italy. Check the season to see if there is anything you really want to see. A mix of Baroque and Gothic architecture the Cathedral of Santa Maria Assunta is the Duomo of Naples. In here you can see the tombs of the Angiò family that ruled over Naples in the XIII century. 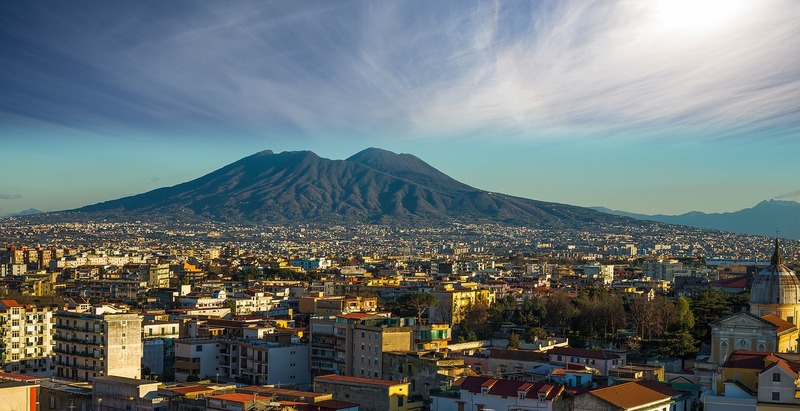 Everyone has heard of Pompei somehow, from tv or from friends, now if you’re in Naples for your studies you can hop on a bus or a train and finally see one of the biggest archeological sites in the world. Not as famous as Pompei, the Cuma archeological site dates back to the pre-roman era and is believed to have been the birthplace of the Cumani, Greek settlers that are considered to be founders of Naples.